I have been coming to Karing Dental for several years. Dr. Shah and the staff are wonderful. Dr Shah does everything he can to save your teeth before doing root canals, extractions, etc. Would highly recommend. I have been going to Karing Dental for ages but hadn’t been there the last 5 years. I know, I’m an idiot but it was time to go see the dentist. I was impressed with the new place and the technology has gotten so progressive! I was floored and had an issue with a loose tooth. He was on it and his staff has always been so friendly and courteous. I would not go to any other dentist, they always have taken care of me and I appreciate that so much. Karing Dental has helped me so much. I”m a Paramedic that needed implants but also needed sedation. The staff at Karing Dental went out of their way to help me and make me feel comfortable. The follow ups have been as painless as the procedure was. I recommend Karing Dental to anyone looking for a dentist. Five stars for sure!!!! Had a decayed tooth that needed root canal and was also told I needed gum surgery. Well, once back at Karing Dental Center after the root canal, they were able to take care of my gum without any surgery saving me $$. Everyone is very polite and nice and tells you exactly what is needed w/o any additional work that really is needed. After hearing so many horror stories about my friends and family having their wisdom teeth removed, I was very apprehensive about getting 3 of my teeth pulled. After consulting with Dr. Shah, he walked me through the procedure and assured me that I had nothing to worry about. They have a friendly staff, a beautiful office, and have offered a level of service that I have yet to experience with any doctor or dentist I have ever been to. I recommend this office to anyone, young or old, with any type of problems as I have had such great experiences here, I can promise that you will always leave happy. Twenty years ago started the adventure of finding a good likable Dentist. After bouncing around for almost ten years from dentist to dentist, I finally found one! Dr Shah at Karing Dental in Wood Dale is just phenomenal. He is not only an accomplished dentist; he genuinely cares for his patients. I would never even consider going to another dentist. I have sent many family members and friends to Dr Shaw. Just recently I sent my son there and he needed a root canal. Being young and having no insurance at the time, Dr Shah gave him a huge discount. I cannot thank him enough…not only for what he has done for me but what he selflessly has done for my son. All I can say is Dr. Shah!! Not only did he become my dentist on a walk in he is now considered a family friend! He has always taken care of any situation in a timely manner. I walked into Karing after a round of horrible dentists. I found Dr. Shah to be friendly and talkative. Which to me is plus I love to talk. I have 2 little girls and one of them needed a cavity filled at age 5. Dr Shah did it in such a way she didn’t even cry and loves going to see him. I have been through 5 dentists in my life and the search has stopped! Thank you Dr. Shah for being awesome!!! Karing Dental has professional equipment, progressive dentistry skills, and friendly staff to provide you the best dental visit possible. About a month ago my post crown that I had for about 2 years fell out. I went to see Dr. Shah to fix what was done the wrong way by a different dentist. Unfortunately he was not able to put the same crown back in, instead we had to make a new one. I’m glad I went to Dr. Shah because he really took his time to do this the best way possible and he gave me a really good price. First he took the impression to make a porcelain post for the crown. On the next visit, he put in the post and temporary crown. After about a week, I came back to have my crown put in. It fits perfectly, the color is matched to my teeth, and when I look at my teeth I can’t even tell which one is the crown. I am very happy with the results and I would definitely recommend Karing Dental. Dr. Shah is wonderful! I have been going to Karing Dental for over 5 yrs and I would highly recommend them. The facility is state of the art, the staff is very professional and most important caring! Dr. Shah goes out of his way to ensure that you are comfortable, understood and really gets to you as a person. His work is outstanding and I have never experienced any discomfort or pain. I bring both of my children there and they actually like going to the dentist because of their good experience! Thanks you Dr. Shah…we are fortunate to have you as a leading dentist in our community! Always a good experience with Dr. Shah. 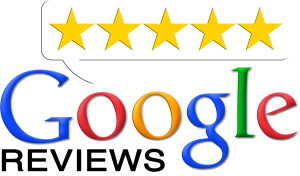 The staff is very friendly always attentive and I have never had a bad experience. Even though I moved to Texas for work I still come here for all my dentist needs. Yes. That good. I have to say that I had a great first experience with Dr. Shah and his staff. Dr. Shah is not your ordinary Dentist that sees you and leaves, He takes the time to get to know you and the problem you are having. He was very informative, got to know my husband and I and told us what needed to be done. He was also very knowledgeable, He knew right away just by one look that my husband did not drink milk. Most Dr’s would ask but he said just by looking at his teeth he could tell. He did everything he could to make our experience a pleasant one. We will be going to him and referring all of our family and friends there. I have not been as pleased as I am with Dr Shah in any dentist I have seen in the past, By far an exceptional Dentist. Going to Dr. Shah’s office tomorrow for my temporary crown has been a long process. But I’m glad he talked me into saving my tooth. As I get older, I tend to want to just pull my teeth out. I had to get a root canal, but I’m saving a major up front tooth. Dr. Shah is a lifehearted person and easy to talk to. I would recommend him and he has a high tech office as well! I highly recommend Karing Dental Center in Wood Dale, IL. I’ve been a patient of this clinic for eight years and I wouldn’t go anywhere else for dental care. The pricing is very competitive and for loyal patients, Dr. Shah, offers great discounts. Every time, I go to Karing Dental Center, I receive superior service. I was never nervous about having any dental procedure done at Karing Dental Center thanks to Dr. Kalpesh and his staff. I’d like to thank Dr. Kalpesh Shah and his friendly office staff for making my experience at their Dental Center an exceptional one! Great job everyone! Dr. Shah and his staff assistant, Nereida, saved the day! I got into The Karing Dental Office and last minute my insurance company tells me that they won’t cover my tooth extraction. I was upset because I thought that I had taken time off to come to the dentist office for no reason, and I was about to go home empty handed. I asked Dr. Shah if there was anything he could do and he literally got on the phone with my insurance company for 45 minutes (after the dental office was already closed) until my insurance company agreed to approve the procedure. I’m used to Doctors/Dentists using every trick in the book to rush me out of their office, so I was surprised when I received this level of care and compassion from Dr. Shah. Not to mention, the actual dentist office was extremely clean and very technologically up-to-date. Nothing but good things to say about Dr. Shah and his office. This has been the best dental experience I have ever had. I had all four wisdom teeth taken out and the whole staff made me feel very comfortable throughout the whole procedure. Knowing this would be an expensive procedure, they gave me a great discount and gave me information about care credit! Throughout the whole process I had 4 visits. The initial visit they took the panoramic x-ray and told me the steps of the procedure. The next visit was the day of the surgery. They sent me numerous e-mails about what I had to do in order to be ready for surgery which helped a lot! The day of the surgery everything was prompt and on time. Again, the oral surgeon made sure I was relaxed and comfortable before starting the procedure. Before leaving the office, Dr. Shah gave my mother his phone number and urged to call if we had any questions at any time of the day. Dr. Shah noticed my face was still swollen so he advised to put warm water bottles on my facd to reduce the swelling. I did this when I got home and the next day the swelling had gone down significantly! Dr. Shah and his whole staff care about their patients and get to know them to ensure they are comfortable. I will definitely be recommending friends and family to go to karing dental from now on. My experience with Karing Dental Center has been wonderful. My daughter had to have a frenectomy and they was able to complete the procedure with laser which was much better then having it cut and sutured. It was very little cost after insurance which was a blessing. This is the day after the procedure and my daughter is experiencing no discomfort. My husband had oral surgery performed there last year and was very pleased with the outcome. I will be transferring my family to Karing Dental for all our dental services. I had a fantastic experience with this establishment. The staff is warm and friendly. There was a new imaging tool to precisely make my crown that was so cool! I highly recommend this business! I had reached the point of desperation dealing with my dental problems. Dr. Shah not only has met my expectations, he has vastly exceeded my expectations in resolving these difficulties. Thanks so very much to him and his wonderful staff. I just wanted to thank you for the incredible work you did on my tooth. You turned something that could have been a terrible ordeal into a really great experience! The extraction was so untraumatic. Using my old tooth as the temporary replacement worked great. The best part was nobody ever knew my tooth was being replaced unless I told them.